"Where's All The Female FBI Agents Of The 30s?" Special Agent, Alaska Davidson, circa 1923 - FBI photo. 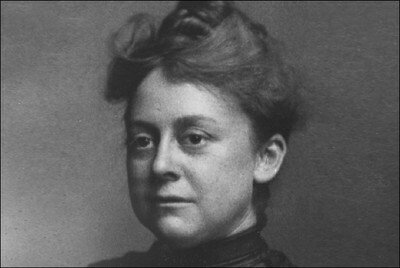 She and Jessie Duckstein would be the Bureau's first female special agents. . .
One of our astute readers asked me this question recently noting that our site didn't contain anything about female FBI agents during the depression era. It was being passed down by family members that one of her relatives, a female, was an FBI agent during this period. Her question was a good one not only for historical reasons, but to settle the family story too. Let's take the history of the FBI, for example. The Bureau was created in 1908 as the Special Agent force. In 1924, J. Edgar Hoover became the Director of the Bureau of Investigation and what eventually became known as the Federal Bureau of Investigation in 1935. But, did you know prior to Director Hoover's appointment there were two women pioneers in 1923 who were Special Agents? Jessie Duckstein and Alaska Davidson were dreamers and the first female trailblazers in the Bureau. They resigned in 1924. But, their dreams to see females among the ranks of agents in the FBI were not deferred. Shortly after they resigned, Lenore Houston became a Special Agent in the Philadelphia Field Office and served for four years. And, although it was not until July 17, 1972, nearly 44 years later, when women began to truly enter the ranks of the FBI Special Agent, the obstacles of the previous years served as the catalysts which forced the dreams of women in federal law enforcement to explode. And today, women in the FBI are supervisors, program managers, Unit Chiefs, Section Chiefs, Special Agents in Charge, Assistant Directors, and Executive Assistant Directors. Women in the FBI are vocal, powerful, and invaluable contributors. Inspector Sam Cowley - "Hell Of A Poker Player"